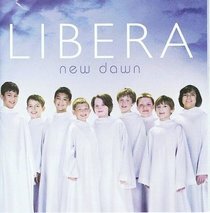 The British boy band Libera has recorded its fourth CD for EMI Classics, New Dawn. The programme includes arrangements of well-known works such as Jerusalem and Bach's Air on the G string as well as less familiar melodies and new compositions. One of the CD's highlights is Love and Mercy by former Beach Boy Brian Wilson, which Libera recently performed at the 30th annual Kennedy Center Honors, America's national celebration of the arts.